Last week I introduced this 4 part mini-series about injury management and prevention. We considered some of the exercises we should do on a regular basis to keep our bodies fighting fit. This week, we shall continue on the preventative measures and consider how best to avoid injuries during a climbing session. Nina, how important is a warm-up? Why and how should we do it properly? Firstly, to get physically warm in order to raise body temperature so that tissues are more adaptable. It also should be used to raise your heart rate to circulate blood and fluids so that muscles have the right ingredients for exercise. It will also lubricate and loosen joints to prepare them for upcoming movements and shock loading. Many of us (children and adults) spend all day “relaxed”, sat at a desk all day. A warm-up is crucial in awakening or activating your core and body tension. Having a weak or untuned core will put people at risk for all climbing injuries. After a slow day, we also have to activate our nervous system, brain and reflexes. Going from an office, to driving a car, then suddenly climbing will lead to a poor session and increase the chances of injury. Activate and tense muscles to be used: shoulders, arms, hands, torso, hips and ankles. Mobility warm-ups: a series of actions that looks like stretching but you are not holding the stretch for any longer than 5 seconds. 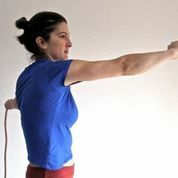 Nina demonstrating shoulder blade isolation – joint mobility – compressed. 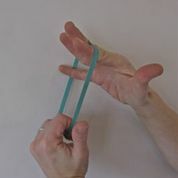 Nina demonstrating the second part – extension. These should be held for between 3 and 5 seconds. This highlights a similar exercise but vertically rather than horizontally. So are these all things we should do at the crag as well? Won’t we look a bit stupid skipping by a cliff? Yes, we should definitely do this at the crag. You can choose which mobility warm-ups to do in case you are worried about how you look, get creative!! 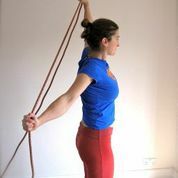 Just follow the principles: Move and feel warmth in the shoulders, torso and hips. It takes a while for us to warm up our extremities such as our fingers and these are vital to climbing, and arguably the most fragile – be careful. So getting warm is one thing, but how do we stay warm? On those cold Winter days when we are forced to rest between goes, how do make sure our soft tissues don’t get too cold? If they do is it worth repeating the warm-up again? Yes, definitely! Relax, recover, have a cup of tea or coffee in a flask. If you feel that your body has lost warmth, despite wearing a down jacket, then get back to doing your warm-up – a few star-jumps or skip with the rope or use it for arm circulations and movement. The session has gone well, but before we pack up and just head home after trying at our absolute limit, should we do anything else? Finish a session with a few really easy routes or problems to help flush out toxins and lactic acid after a hard session, and lower your body temperature if you had a more aerobic session. You want to finish your session feeling tired, but not too pumped. Gentle static stretching can stimulate good collagen (tissue) for rebuilding. Over-stretching can degrade and weaken tissue. This is why we now advise not to static stretch before sport and exercise, only AFTER, in case you go beyond a healthy strain. Stretching must always be complimented with strengthening and sometimes it is better to simply stretch in tension (eccentric contractions). Static stretching is good for areas of stiffness that are inhibiting nerve movement or joint range needed for climbing. However, positioning and technique are paramount. It is best to avoid stretches felt on a joint or tendon. Best to feel the stretch in the muscle. Positioning of joints like the elbow must be monitored. No hyper-extension at the elbows or knee allowed in any position as this places the delicate elbow tendons and ligaments in an over-stretched position. Strength and conditioning is a form of neuromuscular (muscle building motor learning) training with equipment or body weight to increase strength, power, agility and coordination. “Conditioning involves the correct application of exercise principles to progressively improve and allow you to perform your chosen activity with greater ease”. This can be applied to antagonist training, or training “climber-specific” weaknesses such as squats, split squats, pull-ups, press-ups, rotator cuff, core etc. The goal of the session would be to increase strength, technique, coordination and ease of movement with the least strain on the body. This form of training compliments any climbing technical drills. For example, if someone is slightly weak with rock-overs and pressing up with their legs, then they can improve on this by working on their deep hip muscles, buttocks, split squats and step-ups. Thanks Nina! 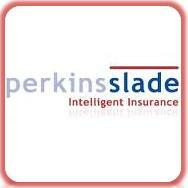 Next week we will be looking at specific climbing injuries, how to recognise them and how to repair them. “You are injured” are some of the harshest words an athlete can hear. The smallest injury, which may be insignificant to non-climbers, can put us out for weeks, months or even longer! Our goals can be shattered in a moment of madness, foolishness but sometimes for no apparent reason at all. I find it fascinating that some people seem to be more prone to injuries than others and that most people seem to be unaware of what the most common climbing injuries are and what we can do about them – or even better, how to avoid them. I have learnt a lot from error, as many of you will have too, but I will not impose my training upon you (just yet) – rather seek the words of a professional physiotherapist. 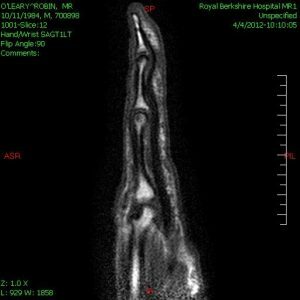 Some of you will still be wary of what I have just said – as many physiotherapists don’t have a Scooby Doo about climbing – and the intricate complexities of what damage we can actually sustain as climbers. Many will be able to diagnose fairly accurately, but having been on the receiving end of a poor analysis previously, I don’t intend to let you suffer as well. Let me now introduce to you Nina Leonfellner. After qualifying as a Physiotherapist in 1999 from McGill University in Montreal, Canada, Nina has been treating sport and musculoskeletal injuries in the private sector ever since. 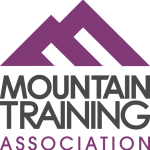 Nina has been a dedicated rock climber since 2000, and has treated, climbed and worked with some of Britain’s elite rock climbers, such as, Hazel Findlay, Ben West, Neil Gresham, Tim Emmett, Charlie Woodburn and Chris Savage. 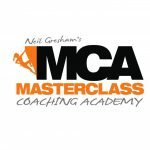 Nina writes articles in CLIMB magazine, as well as, teaches an Injury Prevention Module on Neil Gresham’s Masterclass Coaching Course. Nina is also a lead clinician for EIS and High Performance Squad athletes at Bristol University – it’s suffice to say that she knows what she is doing! 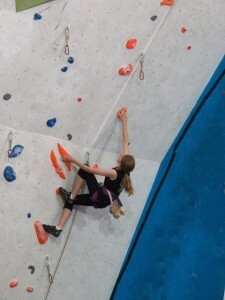 I had a good chat with Nina about climbing injuries; how we can treat them and how we can prevent them. I have decided to break it all down into bite-size snippets of information, released over the next few weeks, so that you can actually take in what is being said. After all, it is quite easy to overwhelm people with too much information. Nina, on a very basic level, what do you think the most important aspects are in avoiding injury? Warming up correctly is essential, but we also need to consider good technique, flexibility, antagonistic training as well as strength and conditioning training. You mention strength and conditioning. What is this and why is it so important? Strength and conditioning refers to exercises that target specific muscle groups’ strength and endurance. It is important to strengthen certain muscle groups in isolation in order to decipher and then work on our own weaknesses that could be hindering our climbing or leading us to an injury. It is also valuable to do these types of exercises to develop body awareness. So once we have got our bodies into fighting shape, how can we ensure they stay this way? It is essential to continue with your strength and conditioning and antagonistic exercises, even if it is once a week for both aspects. As mentioned above, a lot of people talk about the benefits of antagonistic exercises, what are they referring to? Muscles which counteract that of another. Tissues loaded in a certain direction will deform and lose fluid. A way to reverse the deformity is to exert an opposite force on them. 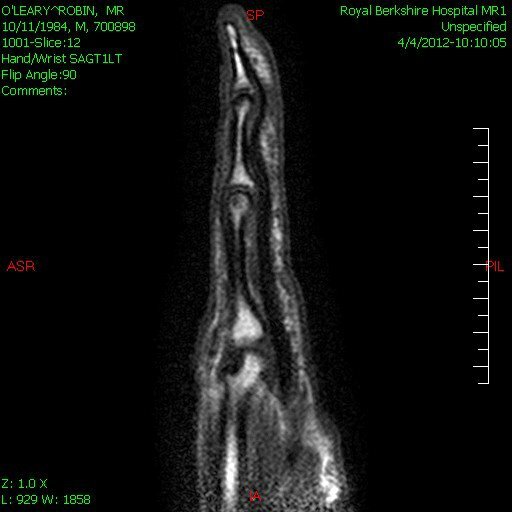 This replaces lost fluid and helps reshape the tissue. A bit like correcting a dent in a car door…if tissues are constantly exposed to the same stresses and strains the dent simply gets bigger and bigger, until eventually the stresses are big enough to cause damage. What are the best antagonistic exercises a climber should be doing and how many times a week? In climbing antagonistic muscles are mainly pressing and lifting ones. 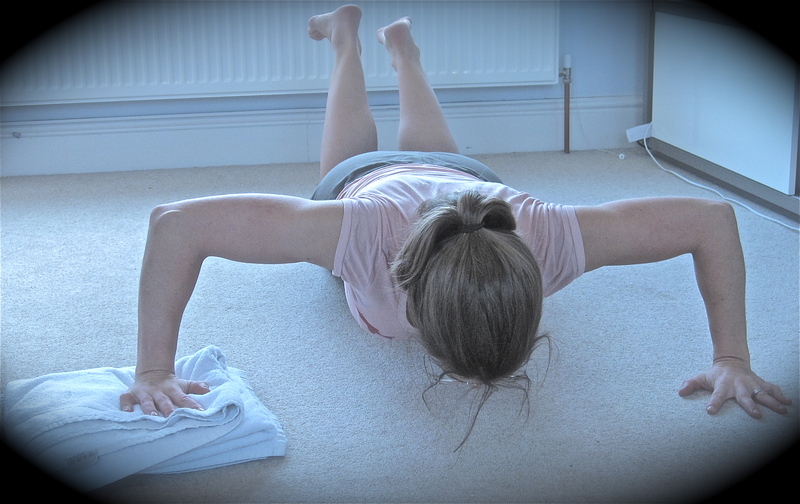 Antagonistic exercises are a fantastic method to aid recovery quickly. Incorporating antagonist strength training after a morning OR afternoon climbing session, or on the following “rest” day will help to “reshape” and rehydrate your tissues back to health. Normal, shoulder width, press-ups; narrow press-ups; side lie one-arm press-ups and dips are examples of these. 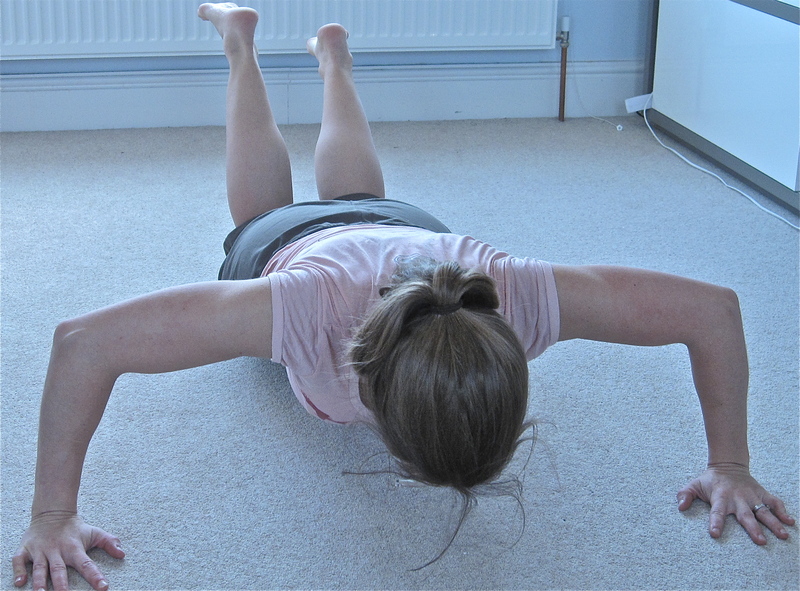 Using a wall, table or the floor all present progressive options to these exercises. Note that finger and wrist extensors (top forearm muscles) are not technically climbing antagonists, but I include them in antag training as there is often a dominance in flexor strength amongst climbers & full resisted finger extension range of motion does not get exercised in climbing. Care is needed not to overload tissues, so light weight (or modified body weight positions) with higher repetitions (12-20) is best after hard climbing sessions. Which exercises in particular will depend largely on what your strength and climbing goals are, but if you are in doubt, ask a strength and conditioning expert, climbing coach or a sports physiotherapist. Nina, a lot of people will have read this and still wonder why they can’t just climb and forget all the other exercises? Climbing is a sport that generally focuses on the anaerobic systems of fitness, for instance, muscle strength, agility and power, particularly in the upper body. It is important to also focus on other elements of fitness like aerobic (pushing your heart) and flexibility to keep an overall rounded picture of health and fitness. This will ultimately make you a better athlete or climber. This weekend saw the most talented youth climbers gather at the Depot Climbing Centre, Leeds for the British Youth Open Competition. 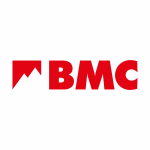 The Opens are a competition that has historically been used as part of the selection process for the youth bouldering and lead GB teams. 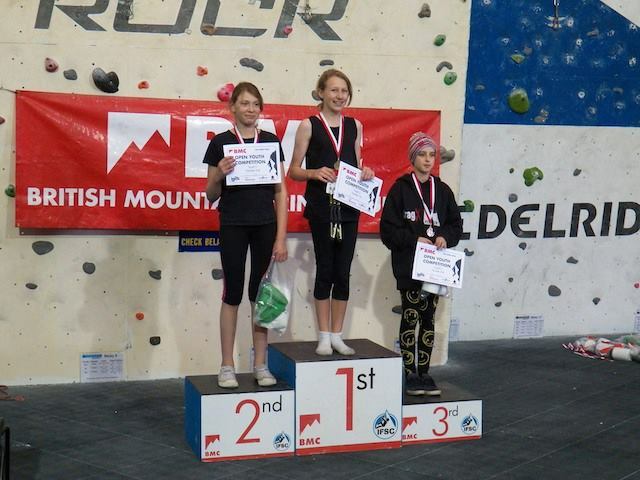 I have been coaching Catrin Rose for a few years now and I am delighted to say that she just won the lead climbing championships for Category C! A few years ago, Catrin was picked out as an enthusiastic climber who wanted to improve. She had been climbing for a few years prior to this and certainly had a flair. 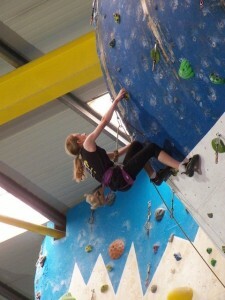 Over the last few years, Catrin has been a member of the Reading Climbing Centre’s Academy team. She has been training with the team twice a week and had a private coaching session once a week. On top of this, Catrin’s hugely supportive parents travel all around the UK every weekend in order to search out a new centre, new routes and new route setters to test her onsighting skills. She is one of the most dedicated climbers I have ever had the pleasure of coaching and deserves her recent victory more than any other. Having competed on the Saturday in the bouldering and narrowly missing out of the finals, Catrin felt “quite confident going into Sunday“, knowing that she was “much stronger on routes“. “Although I dropped the second route near the top, I was happy with qualifying in second place and being in the final and isolation, I was surprised by my lack of nerves. After the viewing period, our group was out first, I have to admit I was slightly more nervous when I found that out, but quickly calmed down once I started climbing. I felt I climbed well, but was slightly annoyed with myself that I fell off where I did.” Catrin soon felt a little happier knowing that she had the current high spot and she was guaranteed a podium finish with only one climber left to compete. Catrin was over the moon (in a slightly competitive way) when the last climber fell below Catrin’s high point and was declared the champion! Catrin trains very hard on a weekly basis and we are all incredibly proud that she won this competition! Now, time for a little rest and on to the next!